While the answer may be “rarely” or “never,” these tiny chunks of DNA can reveal a lot about us, from where we come from to what diseases we may be predisposed to. And there’s another aspect of your genes you probably also rarely think of: Who owns the tech that makes testing for all that information possible? Illumina might not necessarily be a company with a household name, but it has an immense presence within the life sciences industry. And Jay Flatley, the company’s outgoing CEO, is the man who made it all happen. Flatley essentially created a market for genetic testing from scratch. How? He made it cheap. Flatley and his team brought the price point of sequencing an entire human genome down to just $1,000, down from the whopping $2.7 billion required to sequence the first human genome in 2003. Knowing every single bit of information that’s encoded in your DNA can be a powerful tool, and bringing down the cost makes that information accessible to way more people. The San Diego, California-based company now has a market capitalisation of $22 billion. 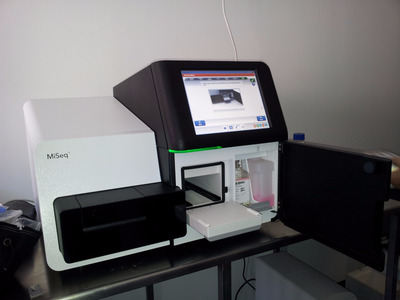 Of all the human genetic sequencing that’s done, about 90% happens using Illumina’s instruments. Considering companies like 23andMe — a direct-to-consumer genetics company whose test can tell you how much DNA you share with our Neanderthal ancestors to how much caffeine you likely consume — has sequenced the genes of more than 1 million people, and they’re just one of the many companies using Illumina’s tests. “Illumina is like the ruler of this whole universe and no one knows that,” 23andMe’s CEO Anne Wojcicki told Fast Company. flickr/konradfoerstnerOne of Illumina’s sequencing instruments, called MiSeq. 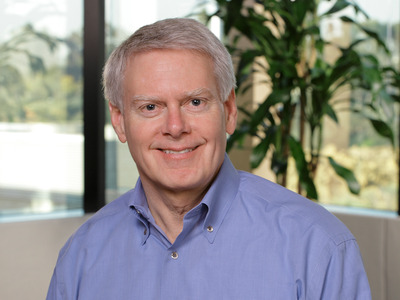 While Jay Flatley has served as Illumina’s CEO for nearly two decades, his tenure ends in July. Although he’ll stay on as executive chairman, Flatley will be replaced as CEO by Francis deSouza, who came over from Intel in 2013. During Flatley’s time, the entire human genome was sequenced for the first time, and the cost has gone down exponentially. Illumina expanded its operations from 30 in 199 to almost 5,000 employees. IIlumina’s machines have been used in everything from consumer genetics tests that let companies tell you who your ancestors are, to finding new ways to develop drugs that target certain genetic mutations. Illumina is not your average healthcare company. “One of the things that surprised me is how much Illumina is like a tech company,” deSouza told Forbes in March on the news that he would become the next CEO. Its basis in hardware and software make it much different from a company trying to research a new treatment to a disease. Illumina’s also spun out some of its projects that span the genetics world. In August 2015, the company spun out a startup called Helix that wants to be like an app store for your DNA. Essentially, it would be a way to connect your sequenced genetic information to a number of different tests, so that instead of spitting into a tube every time, companies could connect directly to the hard data. A few months later, the company announced that it was spinning out a company that wants to develop a blood test that screens for cancer. The spin-off company, called Grail, also got backing from a group of Silicon Valley investors including Jeff Bezos and Bill Gates. The goal is to build a test that can identify the tiny bits of cancer DNA that are hanging out in our blood that are currently undetectable. With one simple blood draw, Grail’s plan is to sequence and screen for those bits with the hope that it will help catch cancer before it starts to be a full-blown problem. “Every day we don’t have a test available, lives are being lost,” Grail’s CEO Jeff Huber told Business Insider in February. The company plans to move at “tech-company speed” to minimise that loss.